Naples:How to Get Employees to think like Owners! When organizations are filled with leaders and team members who think and act like owners, work is more meaningful, rewarding, and enjoyable. But that benefit is just the tip of the iceberg. Ownership is also a central component of an organization’s ability to execute on strategy. Join us at our April meeting and learn from top Business leaders how they do it! Sue Huff President of E. Sue Huff & Associates, Inc. Marketing and Management Consulting a Marketing and Management Consulting firm which was founded in 1996 after relocating to Naples. Her career spans over four decades. Starting in the newspaper industry she later became a partner in a chain of print shops in Cincinnati; was a senior manager for the City of Cincinnati; and has always been involved in theatre, tv and radio. Sue is the owner of E. Sue Huff & Associates, Inc., a marketing and management consulting firm that targets small to mid-sized businesses and non-profits in Southwest Florida. As a business owner and entrepreneur for over 35 years, Sue is known for her creative ideas and enthusiasm. Sue began her career in the newspaper industry, and by the age of 30, was the managing partner of a chain of print shops. By 35, she was a senior manager with the City of Cincinnati. She moved to Naples in 1994 to start her consulting firm. Sue has produced an award-winning television show; produced radio shows; been a guest columnist for local media; and has been a presenter/guest speaker/facilitator for numerous organizations. She is community minded and serves on various committees. Theo Etzel, Chairman of the Board for Conditioned Air, Theo brings decades of experience as a business executive and entrepreneur to Conditioned Air. As our CEO and owner since 1995 and now, more recently, our Chairman of the Board, Theo has helped turn our passion for customer care and quality products and services into a thriving company serving all of SW Florida from Marco Island to Sarasota. Michael Wynn, Board Chair-President Of Sunshine Ace Hardware A native of Naples, FL, Michael is currently President of the family’s chain of Ace Hardware stores, as well as Chairman of the Wynn Family Board of Directors. In 2014, Michael received the hardware industry’s Top Gun Award presented by the National Retail Hardware Association. In the same year, he was also recognized as a finalist for the Ernst & Young Entrepreneur of the Year Award and was inducted into the SWFL Junior Achievement Business Hall of Fame. Actively involved in the Southwest Florida business and civic community, he is the Immediate Past Chair of the Greater Naples Chamber of Commerce and Chair-Elect of the Leadership Collier Foundation. Russell A Budd owner of PBS Contractors/Wall System Contractors Russell Budd is the owner and CEO of PBS Contractors building and remodeling high end custom homes in southwest Florida. He currently serves as Vice-Chairman of the David Lawrence Center, President of the Collier County 100 Club, Director for Drug Free Collier, Director for the National Alliance on Mental Illness (NAMI) of Collier County. Russell has been named a “Man of Distinction” by the Collier County Education Foundation. Founder/Publisher, èBella Magazine / President, MarketCrank, Inc. The owner of two companies, e Bella, Inc. and MarketCrank, Inc., Sharon Hood publishes è Bella magazine, as well as the Pelican Bay Post and Pelican Marsh Brief newspapers. She is a Leadership Collier 2017 graduate, has an MBA from the University of Wyoming, and has been honored as a Woman of Achievement, a Phenomenal Woman Trendsetter and a Champion for Learning. è Bella magazine has earned numerous “Charlie” awards as well. Christopher Nind, Executive Director of Literacy Volunteers of Collier County. Literacy Volunteers of Collier County was established back in 1984. Over the years it has helped thousands of immigrants to learn English, improve their lives and become active members of our community. LVCC relies on Collier volunteers to tutor the students and presently there are over 250 active volunteers and 235 active adult students. Over the past 3 years LVCC has developed family programs which take place in Collier County Public Elementary schools and tutor specifically the parents and their pre-school children to read together and to instill in the parents the understanding of their vital role in their children’s education. LVCC also operates citizenship classes, finance literacy and workplace literacy. This event is back and Everyone is invited to join us for our Annual Spring Fling at the Bayfront Inn 5th Avenue Naples "After-hours"
Must RSVP to attend as this event always fill up fast! 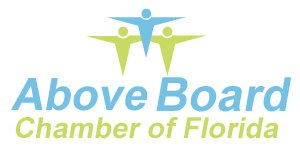 Hosted by Above Board Chamber of Florida member Bayfront Inn 5th Ave Naples, Fl. Bayfront Inn on Fifth has undergone a multi-million dollar renovation to become Naples only waterfront downtown luxury boutique hotel. Discover our Caribbean chic decor, while your senses are relaxed into a state of bliss. We are conveniently located on 5th Ave., within walking distance to gourmet restaurants, shopping, art galleries, and nightlife. Discover the Naples waterways with a charter boat or one of our experienced fishing captains, located at our 12 slip marina. We invite you to explore the tastes of the tropics with a romantic getaway filled with tropical sunsets. Music, prizes and lots more till 9 PM! For more information and to RSVP please go here http://tinyurl.com/y6rp4d8e Please note there is limited space so you MUST RSVP to attend! Proverbs 22:1 A good name is rather to be chosen than riches, and loving favor rather than silver and gold.